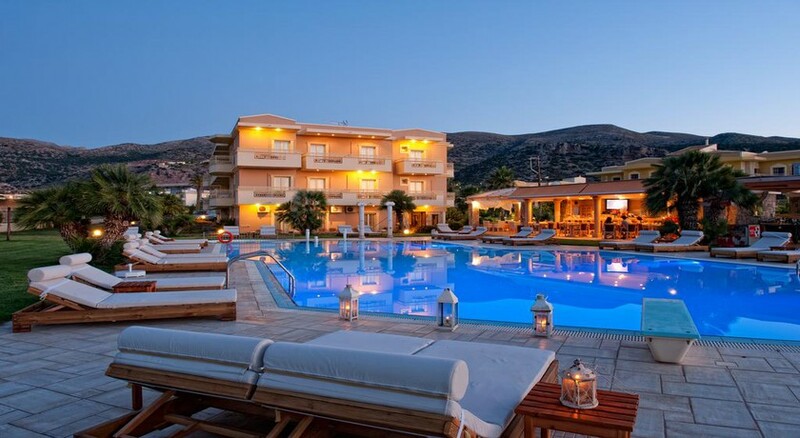 The Socrates Hotel Malia is sat in a perfect holiday spot. It is located on the coastal road connecting Malia and Stalida. The hotel is nestled between the hills and the beach. This contemporary complex is set in spacious manicured lawns just a stone’s throw from a golden sandy beach. The complex serves as a base to explore northern Crete. The 31 studios and apartments are airy, spacious and comfortable. The onsite restaurant serves excellent Greek cuisine along with international dishes. 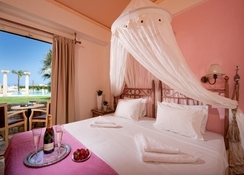 The Socrates Hotel Malia is perfectly located to enjoy the best of both Stalida and Malia resorts. The beach is just 250m away. The resort of Stalida is approx 1km away, while the Malia beach is only 1.3km. The Malia beach road is 700m and features a great selection of bars and clubs. The nearest supermarket is conveniently located just 150m away. 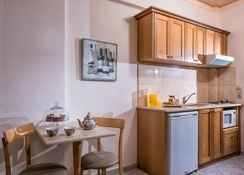 The Heraklion Airport is 33km from the property. 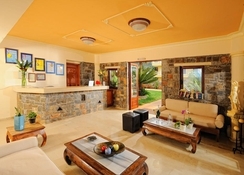 The 31 studios and apartments at the Socrates Hotel Malia are modern and spacious. They are well equipped with a dining and kitchen area, telephone, flat screen television, safety deposit box, air conditioning and balcony or terrace. All guestrooms come with a king-size bed or two twin beds, free Wi-Fi, safe, tea & coffee making facilities, en suite shower, satellite TV, mini-fridge, radio, hair dryer, continental socket, in-room hair dressing services, iron and ironing board available on request and much more. The resort features an onsite restaurant. The choice of cuisine here is wide and far reaching. 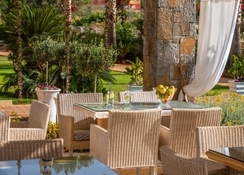 The al fresco pool bar serves breakfast, snacks and meals throughout the day from 7:30am until midnight. Guests dine while appreciating the excellent views of the pool and mountains. At the centre of the complex is the swimming pool with separate children’s section. The pool is surrounded by a smart terrace fitted with sun loungers and parasols. Other facilities at the complex include a whirlpool bath, mini golf course, table tennis, pool and playground for children. Some facilities may be charged locally.